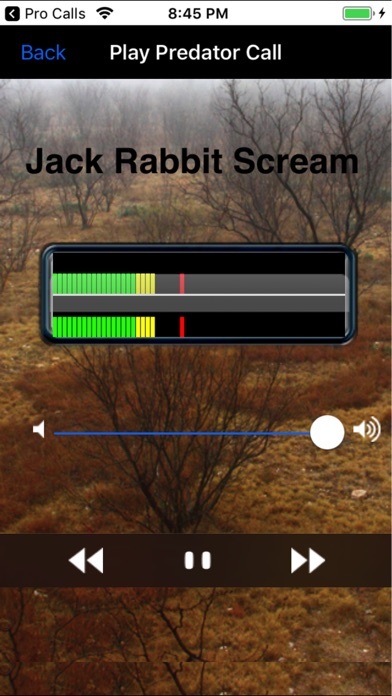 Most comprehensive and BEST SELLING predator Calls on the App Store. Call in predators like the experts. Predator Calls lite plays popular sounds and calls with the option to upgrade to the pro version and unlock over 12 of the most popular and effective hunting call sounds. 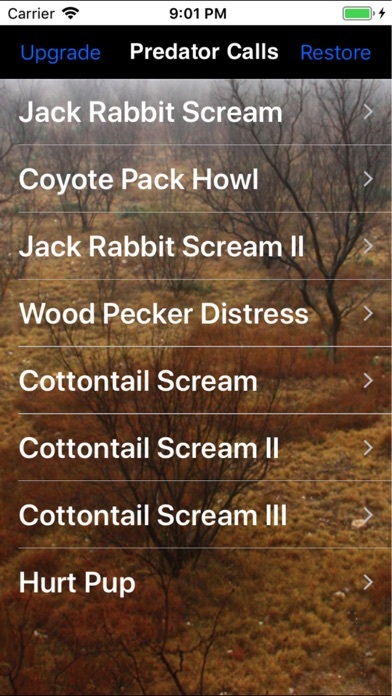 Calls bringing in Coyotes, Bobcats, Foxes, Wolf, Cougars and more). Designed by hunters for hunters. No need to spend a lot of money on the various calling equipment. Quickly Play, Pause, Stop or change calls on the fly. Supports plugging in external amplified loud speakers/headphone to headphone jack for amplifying the volume, so sounds can be heard long distances. Will also route calls through iPhone connector at bottom of unit.